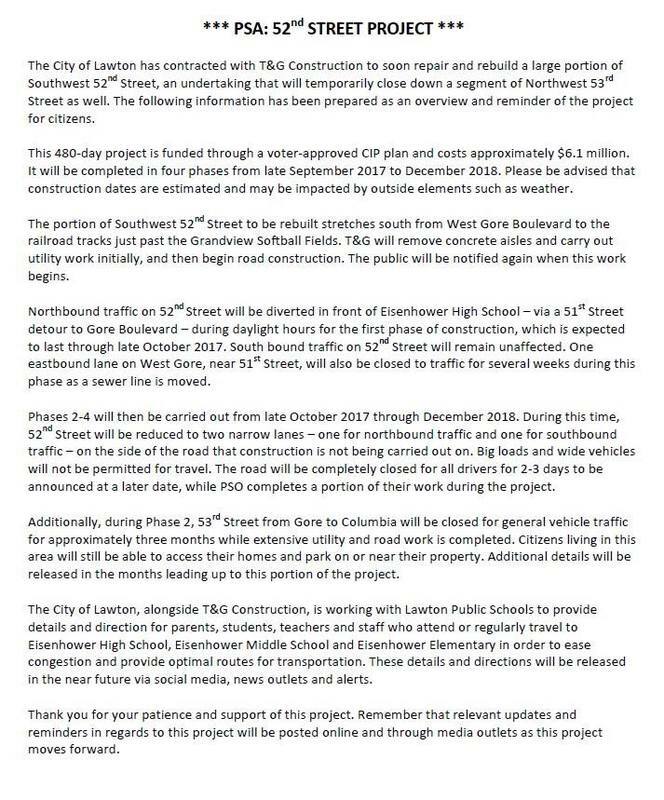 Please see the attached Public Service Announcement from the City of Lawton in reference to the upcoming 52nd Street project. Eisenhower parents: We will keep you updated by putting notifications on the website, sending school notifications/alerts and posting on our social media pages as more details are shared with us. Thank you!